eD@HoMe: Welcome The Rabbit Year! 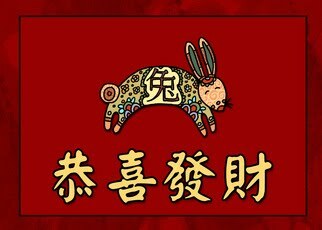 Singapore Post welcomes the Year of Rabbit (3rd February 2011 to 22th January 2012) with the release of the Rabbit Zodiac stamp issue - the fourth of 12 stamps in its Zodiac stamp series, which began in 2008 with the Year of the Rat. As usual there are three stamp designs for this stamp issue comprise 1st local, S$0.65 and S$1.10 stamps. Adding to the philatelic collection is the special Collector's Sheet (S$16.80) - the first-of-its-kind offset printing on hot foiled golden metallic film with matt UV varnish. Under this special effect, one can simultaneously view the Rabbit with the Tiger on the S$5 stamp. 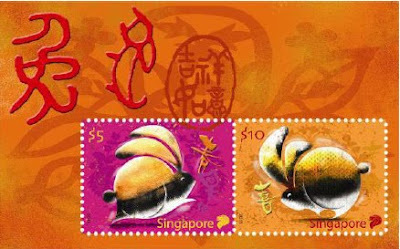 The S$10 stamp features the same interesting effect with the Rabbit and the next year’s zodiac animal, Dragon. 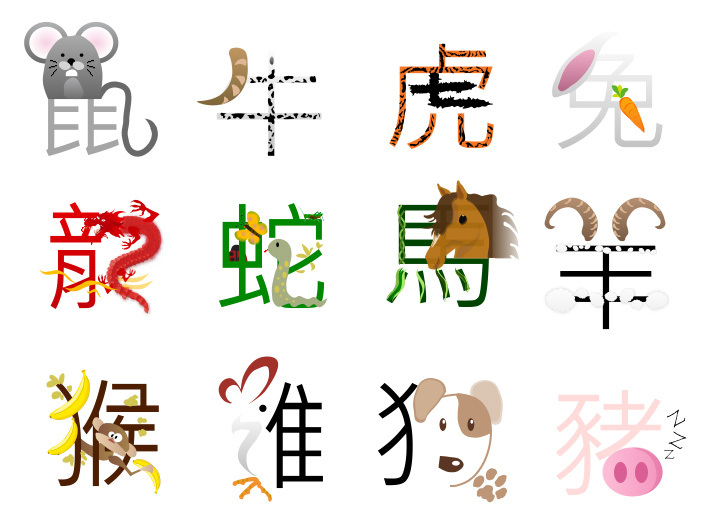 In the Chinese Zodiac there are twelve animal signs. They are in order as follows: the rat, the ox, the tiger, the rabbit, the dragon, the snake, the horse, the sheep, the monkey, the rooster, the dog and the pig. There are various legends that would explain the zodiac’s beginning. Here is one of the most popular. Once upon a time, the Jade Emperor thought it'd be better to assign an animal to each year so people could more easily remember the Zodiac cycle. So he decided to hold a meeting with all the animals and he would choose 12 of them to be the Zodiac animals. At that time, the rat and the cat were known to be the worst swimmers among the animal kingdom. Even though they couldn’t swim well they both displayed great intelligence. They both decided that since they couldn’t swim well that the best and quickest way to get across the river was to ride over there on the ox’s back. Since the ox was a good-natured animal and very naïve, he agreed to carry them on his back across the river. The rat was fiercely competitive and decided that if he was to win, he would need to push the cat into the river. Due to the rat’s deceitfulness the cat never forgave the rat and still hates water. As the ox neared the other bank of the river, the rat jumped off and raced to the shore first and became the first animal in the zodiac signs. Following the rat closely was the strong ox that came in 2nd and won it’s place in the zodiac. The tiger followed in third place but complained that the strong currents kept pushing him downstream throughout the race but with his great strength made it to the shore. The rabbit came next and told how he had jumped from one stone to the next nimbly and reached the other side of the river. The rabbit claims that he almost lost the race but was able to get hold of the floating log that carried him to the shore. That is how he became the fourth animal in the cycle. The fifth animal to come across the river was the dragon that was belching fire and flying in the air. The dragon was asked by the Emperor that with his strong, flying abilities why he was not the first to arrive. The dragon answered that he needed to make rain so that he could help all of the creatures on earth. Then he saw the rabbit clinging helplessly to the log and he blew on the log to aid the rabbit in reaching the shore. The Emperor was so happy with this story that he added him to the cycle. Next came the horse that actually had the snake on his hoof and when he saw the snake the horse got frightened and fell back. This is the explanation for the snake securing the sixth spot and the horse came in seventh. Not too long after this, the ram, rooster and the monkey had helped each other get across the river and they showed up together. The rooster had found a raft and brought the other animals with it. The monkey and the ram cleared the way as they tugged to get the raft all the way to the shore. 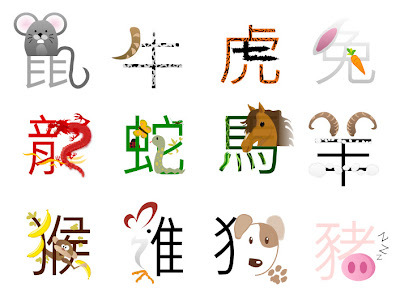 The Emperor saw the cooperation and named the ram as the eighth animal, the ninth was the monkey and the rooster became the tenth animal to be named to the zodiac cycle. Because the dog was too tempted to take a bath in the cool water, he almost didn’t make it to the finish line. When he did he became the eleventh animal to be added to the cycle. The Emperor was ready to close out the day he heard the oink of the pig. He came out in last that day as on his way to the other shore became hungry and stopped along the way for a huge feast and promptly fell asleep. When he woke up he became the 12th and final animal named to the zodiac cycle.